It has been a long while since I did a wolf-tastic movie trivia post. So here I am with a new edition of werewolf movie trivia, an entire post dedicated to random bits of information about your favorite werewolf flicks! Woo! Enjoy! In the 2011 film Red Riding Hood, starring the gorgeous Amanda Seyfried, Twilight’s Taylor Lautner was actually considered for the role of Peter. Thank goodness he wasn’t cast! 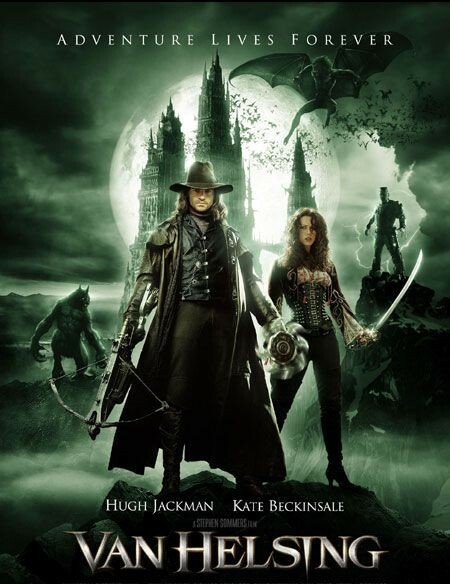 In Van Helsing (2004) where Helsing and Anna fight Dracula’s three wives is the same place where they filmed Frankenstein (1931), Dracula (1931) and The Wolf Man (1941). The location is call the Court of Miracles and this place is also found at the studio tour at Universal Studios Hollywood. In The Wolf Man (2010) the bear owned by the gypsies is an recycled animation from The Golden Compass (2007). They altered it a bit and the polar bear was changed into a grizzly. In Big Bad Wolf the genetics lab that Uncle Charlie sends Toblat’s DNA sample to is called NAMFLOW LABORATORIES. When you spell NAMFLOW backwards you get WOLFMAN. Clever. There were no special effects used to alter Kevin Grevioux’s (who played the lycan Raze) voice in Underworld and Underworld: Rise of the Lycans. It is naturally that deep. Hammer studios only ever officially made one full-blown werewolf film, the classic Curse of the Werewolf. However, some of their cousin studios made a few werewolf films. The Beast Must Die is the very first film in which a dog actually attacks and fights a werewolf. A more popular example where this happened is Eric Red’s Bad Moon, but The Beast Must Die was the first to do it. The climactic transformation in The Howling was all done in close up because the film had gone over its budget by then and it had to be shot in an office because they had no money for sets anymore.